Porco Rosso on Blu-Ray Vs. DVD: Which is Better? 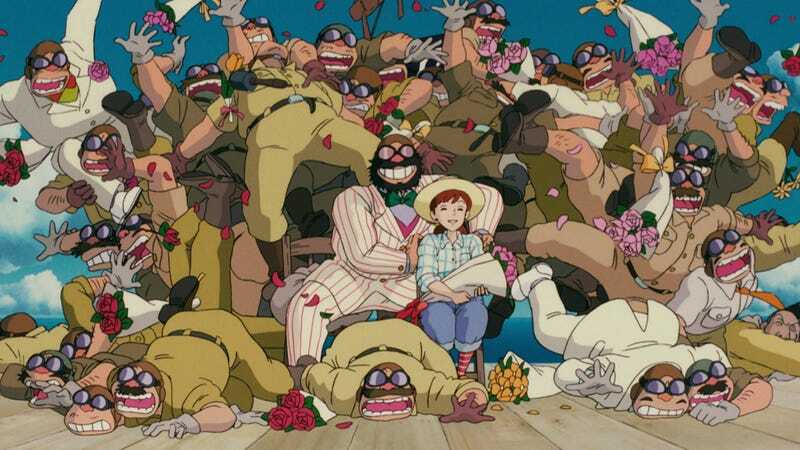 Recently, Studio Ghibli re-released its classic anime Porco Rosso on Blu-ray. Let's see how it stacks up to the DVD release. Here's a comparison between the DVD version (on the left) and the new Blu-ray version (on the right). Note the rosso bits. There were complaints about the My Neighbor Totoro Blu-ray being grainy, and online in Japan, there are now complaints about the Porco Rosso Blu-ray's color balance or people saying the recent Japanese TV broadcast version looked better. Some people are so hard to please! Following the adventures of a World War I flying ace, Porco Rosso was originally released in 1992.